* Stay Period from Now until 31 December 2018. * Surcharge of RM50 per room per night applicable for Friday / Saturday / school holidays / public holidays. 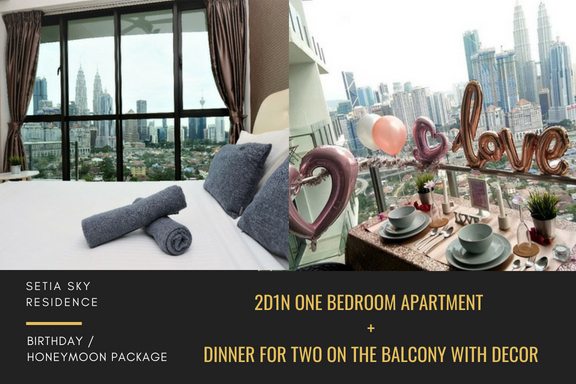 * The Package is inclusive of 2D1N stay in Setia Sky Residence @ Artez Maison and Dinner for 2 at Balcony with Décor. * Phone (+60 18-870 2833) or email (artisanbumi@gmail.com) to check on room availability is required before purchase this promotion deal. * Non refundable, not exchangeable for cash & not applicable with other ongoing offers, events and/or promotions.